When, in early 2018, we received a top-secret brief from W Comms, we knew we were in for something exciting. 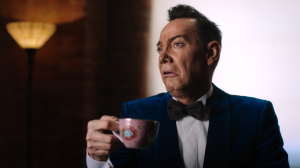 That something was the launch of a brand new project for PG Tips, their new and improved decaf and dairy-free tea bags. Our mission was to produce the launch film for the campaign. 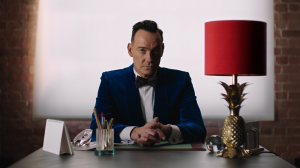 It starred none other than national treasure, and infamously picky, Craig Revel Horwood. 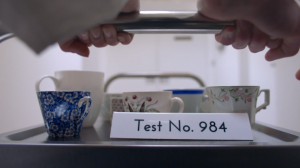 The creative idea for the film cast Craig as “Head of Taste”, judging the different tea blends straight from the PG Tips Lab. 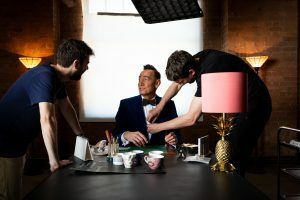 Working with in-house director Ryan Mansfield we played on the stereotype surrounding Craig’s uncompromising character, depicting him as the bond villainesque ‘Head of Taste’, who dashes the efforts of his scientist subordinates until eventually finding the perfect cuppa. We shot the film on location in a single day. It went out to press and across social channels and was featured in Campaign Magazine in ‘The latest in Commercial Creativity”.